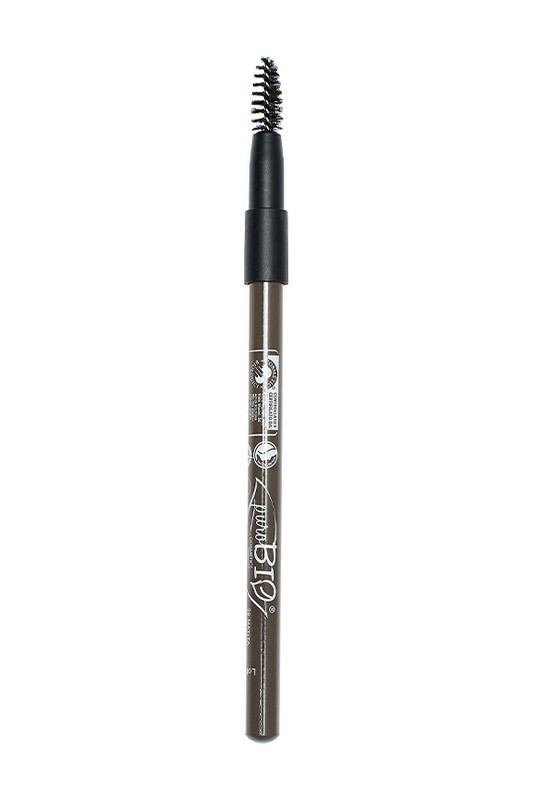 Purobio Vegan Eyebrow Pencil defines and redefines your eyebrows for a natural result! 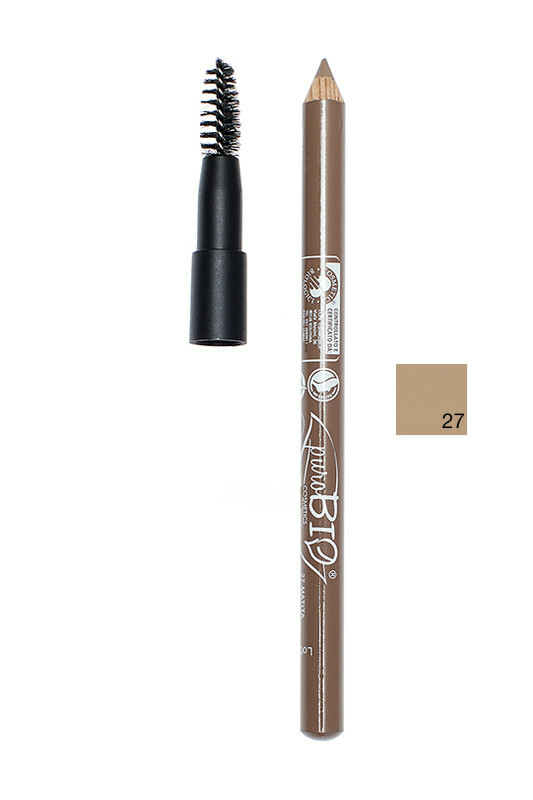 Perfect for camouflaging imperfections due to hair loss or form defects. Its 100% natural formula with organic vegetable oils with sweet almond and shea butter, protects your skin. The Purobio Natural Eyebrow Pencil comes with a brush, very useful for combing and blending the color. 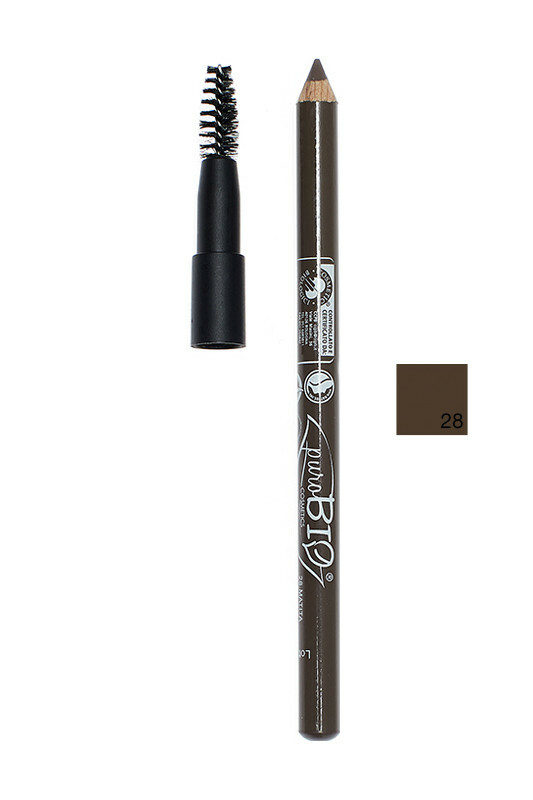 Structured eyebrows with PUROBIO Organic Eyebrow Pencil! 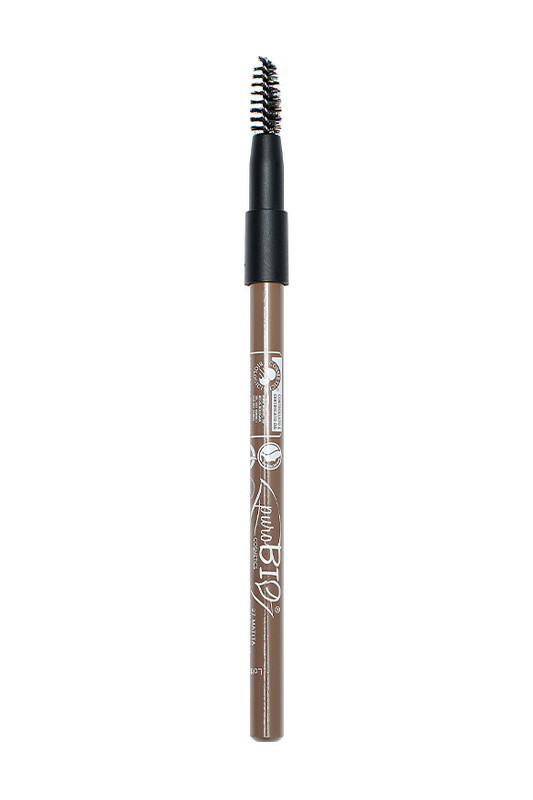 Apply PUROBIO Organic Eyebrow Pencil through the brows in small oblique lines, following their natural shape. Pay particular attention on filling empty spaces. Then brush the brows for a natural and even finish. 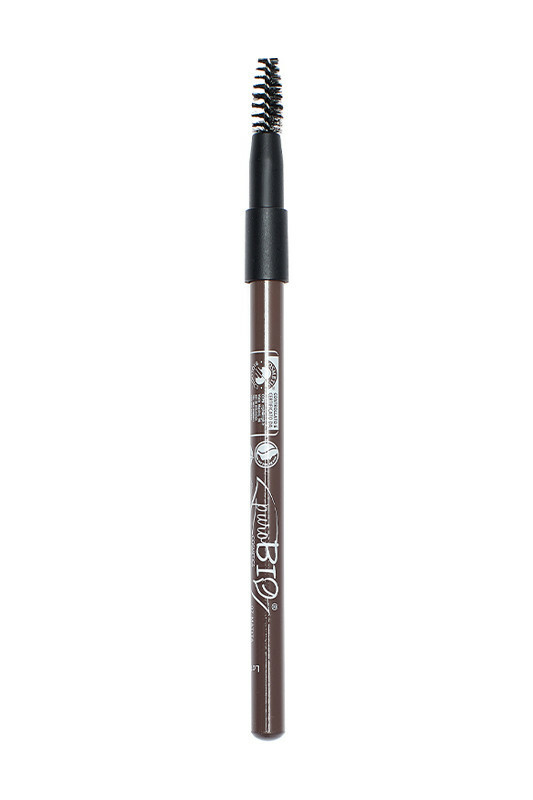 Guaranteed nickel-free in Purobio Organic Eyebrow Pencils! INCI 07 Medium: HYDROGENATED VEGETABLE OIL, C10-18 TRIGLYCERIDES, OLUS OIL (VEGETABLE OIL), PRUNUS AMYGDALUS DULCIS (SWEET ALMOND) OIL*, COPERNICIA CERIFERA (CARNAUBA) WAX, OCTYLDODODECYL STEAROYL STEARATE, EUPHORBIA CERIFERA (CANDELILLA) WAX, MICA, SESAMUM INDICUM (SESAME) SEED OIL*, POLYGLYCERYL-3 DIISOSTEARATE, GLYCERYL CAPRYLATE, TOCOPHEROL, CI 77891 (TITANIUM DIOXIDE), CI 77499 (IRON OXIDES), CI 77491 (IRON OXIDES), CI 77492 (IRON OXIDES). INCI 28 Dark: HYDROGENATED VEGETABLE OIL, C10-18 TRIGLYCERIDES, PRUNUS AMYGDALUS DULCIS (SWEET ALMOND) OIL*, COPERNICIA CERIFERA (CARNAUBA) WAX, OCTYLDODODECYL STEAROYL STEARATE, EUPHORBIA CERIFERA (CANDELILLA) WAX, MICA, SESAMUM INDICUM (SESAME) SEED OIL*, POLYGLYCERYL-3 DIISOSTEARATE, TOCOPHEROL, GLYCERYL CAPRYLATE, CI 77891 (TITANIUM DIOXIDE), CI 77499 (IRON OXIDES), CI 77491 (IRON OXIDES), CI 77492 (IRON OXIDES).